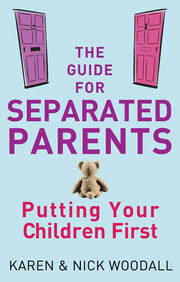 Divorce or separation can be a particularly complex process when there are children and parents from different countries. Different customs and national laws can complicate decision making. The following resources may help you to better understand the legal aspects of your separation and to access support to help you move forward. The Notaries of Europe have created a website called Couples in Europe that sets out the law relating to property in marriage and registered partnerships within all 27 EU member states. The site, which was launched with help from the European Commission, features information in a full 21 languages and is designed to provide legal guidance to the estimated 16 million international couples living within the EU. Topics covered include the overall consequences of divorce or separation within each legal regime; which law applies to the division of matrimonial or partnership property within each country; and the legal consequences of the death of one partner. The Network of Cross-Border Mediators provides information about the possibilities and limits of mediation at no cost or obligation for individual cases. It can aid in initiating an international co-mediation. If a family conflict involves an international element, the Network members can offer a creative solution that deals with problems that do not arise in national family conflicts.